Stuk1991.028 item 271 - Methodist Ch. Streetsville, Ont. Stuk1991.028 item 272 - 1092. Eldorado, near Brampton, Ont. Stuk1991.028 item 277 - Past the Park, Brampton, Ont. Stuk1991.028 item 279 - Hydro Electric Station, Cooksville, Ont. Stuk 1991.028 item 272 - 1092. Eldorado, near Brampton, Ont. Engels » 1092. 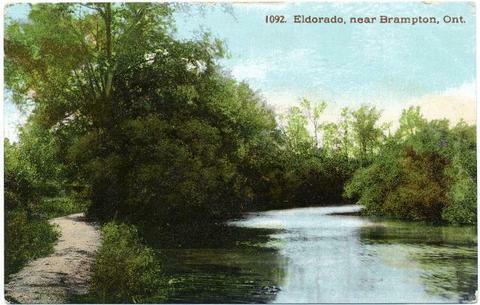 Eldorado, near Brampton, Ont.